We Say Goodbye to Sister Lucille Shea, O.P. 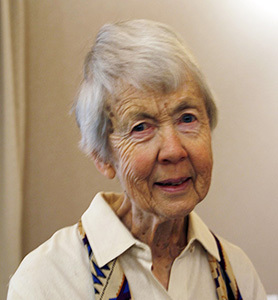 Sister Lucille Shea, a Dominican Sister of San Rafael for 63 years, died peacefully on March 18. Nancy Shea was born in San Francisco. She and her sister, Catherine, grew up in the Lower Haight, part of the Western Addition area of the city. Sacred Heart was the family’s home parish. She entered the convent of the Dominican Sisters of San Rafael in 1951 and became Sister Lucille. Sister Lucille was predeceased by her parents, Frank E. Shea and Lucy Buttgenbach Shea, and her sister, Catherine Shea Boyle. She is survived by her brother-in-law, Vincent D. Boyle, her nieces Margaret Boyle and Claire Boyle, her nephews Thomas Boyle (Jennifer) and Matthew Boyle (Caroline), by her grandnieces and grandnephews, Caitlyn Prien, Ryan, Jessica, Jillian and Michael Boyle, and by her Dominican Sisters. A funeral Mass will take place on Tuesday, March 29 at 10:00 a.m. at St. Dominic Church, 475 East I Street in Benicia, followed by a luncheon reception in the parish hall. After the reception, Sister Lucille will be buried at St. Dominic Cemetery, E 5th Street and Hillcrest Avenue in Benicia.